Like to sleep in late? You might have a greater chance of dying early, a new study says. Night owls may be more fun at parties, but a preference for staying out late may come with some serious drawbacks, suggests a new study published this week in Chronobiology International. Namely, it might increase your chances of dying early. Researchers looked data from a large, ongoing population study of UK residents, known as the UK Biobank Study. Around a half a million participants enrolled in the study from 2006 to 2010 and have had their health tracked ever since. In the current study, the researchers specifically looked at over 400,000 volunteers between the ages of 38 to 73 who answered a question about whether they were a morning or evening type, then followed them for an average 6.5 years. “Increased eveningness, particularly definite evening type, was associated with increased prevalence of a wide variety of diseases or disorders, including diabetes, psychological, neurological, respiratory and gastrointestinal/abdominal disorders,” the authors wrote. The study is only the latest to show the health risks of not being a morning person. But according to the authors, it’s the first population study of its kind to suggest that night owls are also closer to the grave. 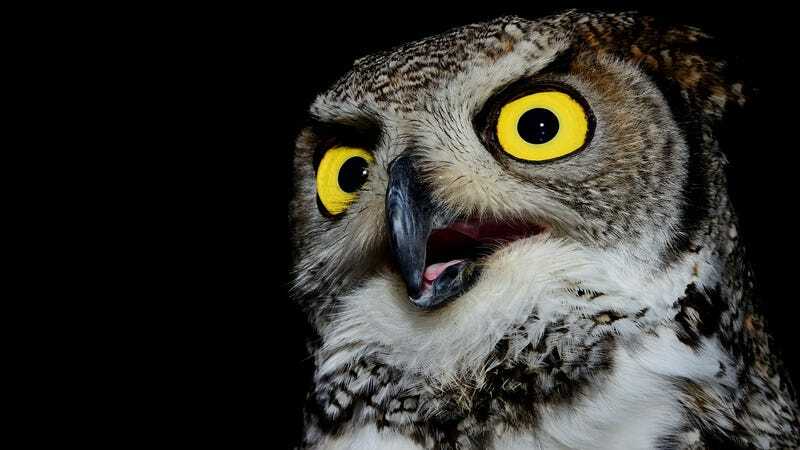 It’s also the first to suggest that gastrointestinal and neurological problems are more common among owls, they say. Though the current study can’t answer the question of why this might be the case, other research has found that night owls are more likely to eat poorly, act impulsively, use drugs like alcohol, and experience “social jetlag,” otherwise known as waking up at noon on the weekends when you don’t have to get to work. While most everyone has experienced a bit of social jetlag, research has shown it’s linked to obesity and poorer metabolism. Surprisingly, though being an owl is typically linked to getting less sleep, the researchers didn’t find any substantial differences in sleep duration between the different groups in the current study, nor did sleep duration influence the overall results. Much of the stress that comes from being a night owl might simply come down to their internal body clocks, or circadian rhythm, not aligning with the rest of the world, the authors say. In experiments that have purposefully created this circadian misalignment, as it’s known, volunteers’ metabolism, mood, and even gene expression changed for the worse afterward. It also seems to function both ways. Several studies have found that most people who work graveyard shifts are also more likely to die earlier and become unhealthier. Anywhere from 20 percent to 50 percent of our circadian rhythm is determined by our genes, the authors note. But there are ways to shift our internal clock back and forth, such as by using lights in the morning to wake up and melatonin in the evening to help with sleep. These techniques could be used on a large scale for people with chronic nightowlness, the authors suggest. Workplaces too could help out (at least in the magical world where workplaces care about employee health), by shifting around schedules for night owls. “They shouldn’t be forced to get up for an 8am shift. Make work shifts match people’s chronotypes—some people may be better suited to night shifts,” lead author Kristen Knutson, a researcher at Northwestern University told New Scientist. Perhaps the easiest step Knutson and her team suggest as an intervention would be something that virtually everyone, but especially night owls, would endorse—getting rid of the completely useless ritual of Daylight Savings Time.